Do you have your Woollybottoms Footies yet? You don’t?! How could you not?! Surely the leaves are starting to fall where you are. Temperatures below 100 degrees around here means wool season is fast approaching. Most knitters’ custom lists are overflowing at this point. Pretty much anyone who makes winter woolies of any kind (crochet, knit, interlock) are booked. Good for them, bad for us. But I know where you can get Woollybottoms footies, one of my favorite winter wool items. Maybe you don’t know about Woollybottoms footies yet. Woollybottoms takes old sweaters and creates beautiful, flawless new wool items for your little one. I have yet to buy a Woollybottoms product that wasn’t of excellent, soft quality. One of the most fantastic things about Woollybottoms is the price! Completely affordable and absolutely adorable! Woollybottoms products come lanolized and ready to go. YEAH! Sterling is 6 months old and 29″ long and comfortably fits in a size S footies with room to grow. I even put these on Sterling when he was a newborn and just rolled down the waistband. The footies are medium weight and could be used as a nighttime cover. But, I’ve used them mostly over AIOs or pockets. I love the grip pads on the bottom (although we won’t be utilizing them for a few months) and they are great conversation starters! 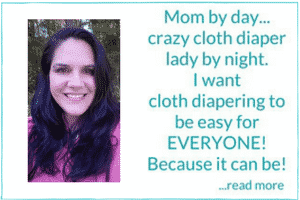 Moms are always curious about wool and it leads into a cloth diaper discussion. At this point in the season there are a number of footies available, however if you were to look in January you might not find them so easy. Woollybottoms website.$29. You’ll notice that for $4 you can upgrade to an interlock waistband. I really enjoy this feature. As you can see from the picture though we have a pair without and like those too. Do you think Sterling could pull these off?? 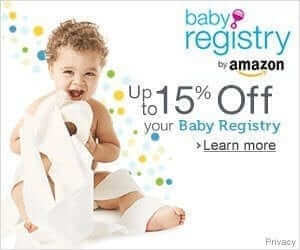 Maybe I should buy them for “research” and save them for the next baby. I just ordered a pair of these! I am so excited to get them :-) Thanks for telling us about them! Does he have a onesie on? I am interested in footies for night time pajamas but am not sure what to put as a top and if they are warm enough…any advice? He did have a onesie on. We use mainly all-in-ones so a onesie works with wool. I would use a regular shirt or snap the onesie on the outside if I was using a fitted. I would put socks on for warmth. Sterling could pull those off and it is always good to test new products out. Enjoy!!! LOVE THESE!!!!! Thank you, thank you, thank you!